Ho. Ho. Ho. Tis the Other season in Mendocino County. 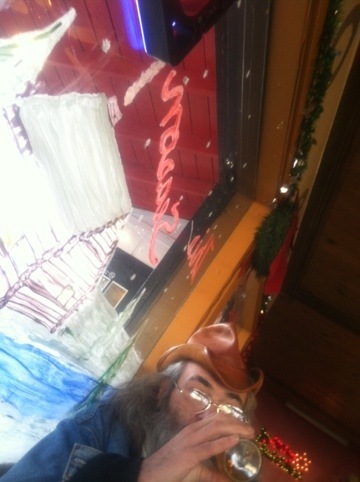 This entry was posted in Beards, Human Animals, iPhone, Leather, Mendocino County, Photography, Signage, Street Art, Grafitti, etc., Subcultures and tagged Bear, Culture, Gay, Hippie Cafe, iPhone, Leather, Mendocino County, Photography, Seasonal, Window Painting, X-mas. Bookmark the permalink.